We want our websites and applications to be pixel-perfect in the most popular desktop and mobile browser and operating system combinations, and at least functional in as many other combinations as possible. Full Support — Pixel-perfect with display exactly as we intended. Functional Support — Usable with all functions supported, but might display in unintended ways. Accessible — Usable with most functions intact, but likely to display and behave in unintended ways. Blocked — Inaccessible without upgrading to a supported browser. Note: If you're using Windows XP with Internet Explorer 7, you may get a security certificate warning. If so, we recommend you upgrade to the latest version of Internet Explorer. The following browser standards apply only to websites designed specifically for mobile devices. 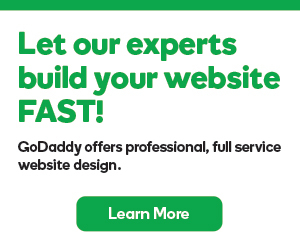 For example, m.godaddy.com. We offer accessible support for mobile browsers not previously listed. Note: If you have problems viewing our website or one of our applications, try clearing your browser's cache. For more information, see Clear your browser's cache.